50 years ago, the hot rod scene was thriving in America and my friend Danny at www.all-about-vinylrecords.com captures the essence and history of this fabled time in music history. Special thanks to Danny for allowing me to reprint his wonderful time capsule, enjoy! When it appeared on the cover of the Beach Boys popular album "Little Deuce Coupe" in 1963, Clarence "Chili" Catallo's beautiful '32 coupe hot rod...then nicknamed the "Silver Sapphire"...became an instant star. To millions of people it was the very definition of the American Hot Rod, and shortly thereafter Chili's car became known by a new name...the "Little Deuce Coupe." The car that became the model for the Beach Boys' song has been completely restored to its original condition and is comfortably retired in Michigan. The car was bought in 1955 by Clarence Catallo, who was just 15 years old and didn't have a driver's license. The little coupe was bought at a gas station across the street from his parent's grocery story in Allen Park, Michigan for $75.00. A friend drove the car home for him, and the transformation into a custom began immediately. Catallo replaced the original stock Ford engine (unlike The Beach Boys song lyrics, which mention "a flathead mill") with a newer 344-cid Olds V-8 built and installed by Bill Wanderer. He then added Olds parts to the driveline, including a Hydra-Matic transmission and a chromed 1955 rear end. Much of the original customizing work, including the stacked headlights, side trim, and front grille was done by an auto shop owned by Mike and Larry Alexander in the Detroit suburb of Southfield. The "A Brothers" sectioned and channeled the body, added a quad-headlight fiberglass nose, made a special rolled rear pan, altered the frame, and covered the cobbled frame rails with polished aluminum fins. When the blue-lacquer paint was added Chili called the hot rod the Silver Sapphire. On to California and the Famed Barris Custom Shop. When Catallo was 18 he moved to Southern California and took a job sweeping floors at George Barris' Kustom shop in Lynwood, California. This is the shop where the famed "Ala Kart" was built. It was the first custom-built pickup to combine both hot rod and custom elements, and was named "America's Most Beautiful Roadster" in 1958 and again in 1959. Chili knew he was in the right hands. Catallo traded his labor to have the crew there tear down the hot rod, chop the top and repaint it. By 1961 the car was an all out show rod. Hot Rod Magazine spots the Coupe! 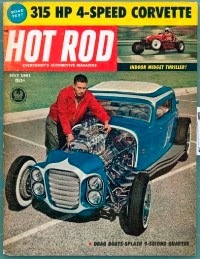 By campaigning the coupe on the West Coast show circuit, Chili caught the attention of Hot Rod Magazine, and the car appeared on the July 1961 cover. 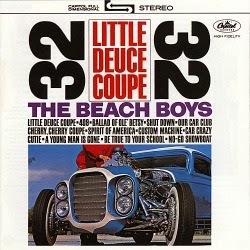 Its greatest fame, however, came in 1963, when it appeared on the cover of the Beach Boys' album "Little Deuce Coupe." Chili sold the car in 1965 and the car went through some major changes over the next several years. When Chili's son, Curt, saw it at a Detroit custom car show in 1997, he convinced Chili to buy the car back. Chili and Curt began restoring the coupe to the way it looked in the Hot Rod shoot that was used for the Beach Boys album cover. Unfortunately, Chili passed away before the Hot Rod was returned to its glory days. Curt continued enlisting the help of many of the men who originally worked on the car, as well as General Motors. Recognizing the blown Olds engine was a significant part of the company's history, GM helped Curt with the engine and drivetrain rebuild. The restored car appeared at the 50th Detroit Autorama in 2002. In an interview in 2009 Curt said "The coupe was the first and last car my dad purchased." After many changes the "Little Deuce Coupe" now looks like it did when The Beach Boys made it one of the most famous cars in Hot Rod history. 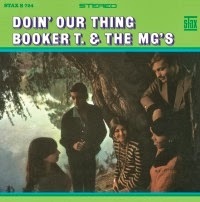 On the aptly titled Doin' Our Thing (1968), the famed Stax house band indeed play their own compositions, to be heard in the album opener "I Can Dig It", the title track and "Blue On Green". But the boys also make a list of classic Soul and R&B covers their own. They tackle famous tracks like "Expressway To Your Heart", written by the famed producer duo Gamble & Huff and popularized by the Soul Survivors in 1967. 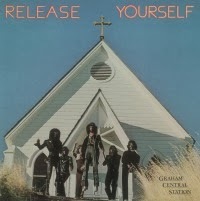 "The Beat Goes On", originally written by Sonny Bono (who made it an evergreen with his then-wife Cher) is sprinkled with some Booker T. magic and "You Keep Me Hangin' On" by Holland, Dozier & Holland gets the ever-so-funky organ treatment. A student of classical piano since he was big enough to sit on a piano stool, Keith Jarrett became a composition student at 15 and gave a full-scale recital of his own works at 16. 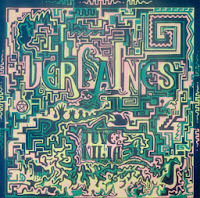 After graduating from the Berklee School of Music, he formed his own trio in Boston, played briefly with Roland Kirk and Art Blakey's Jazz Messengers. 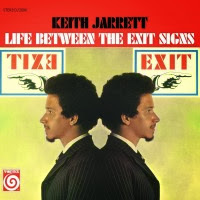 The story of the Quartet's successes from San Francisco to Moscow and back again is also, of course, part of Keith Jarrett's story as well. Charlie Haden, the bassist in this recording, is a musician who earned prominence as a member of the original Ornette Coleman Trio which exploded on the jazz scene in the middle fifties. Randy Newman's first album was aptly self-titled – the artistic outlet of a young man that would become a superstar in a few albums' time. His style is simply unmatched by any other contemporary artist. 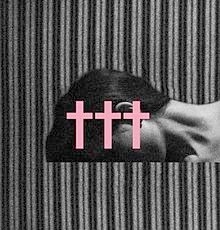 No one song structure and melody resembles the other while his storytelling lyrics are intelligent and satirical. 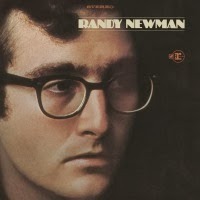 The whole package called Randy Newman is one of greatness. On their second album Release Yourself (1974), the band revolving around bass guitar innovator Larry Graham returned with a set of 8 highly contagious, synth laden Funk songs. Ripple Music, the California-based heavy rock label has already been recognized as one of the world's leading labels for 70s-tinged retro-heavy rock. With a roster that includes such hard-rocking stalwarts as Mothership, Trucker Diablo, Mos Generator, Grifter, Stone Axe, Devil to Pay, Ape Machine and Earthen Grave, (not to mention such 70s legends as Leaf Hound, Poobah and JPT Scare Band) Ripple has garnered accolades and appreciation by rock fans around the world, for their quality of music and love of both vinyl and CD formats. Now it's time that the industry stood and took notice of what Ripple is doing. With the announcement of their Industry Award nominations, TheBestForMusic.com made it official: Ripple Music is one of the best hard-rocking record labels out there! 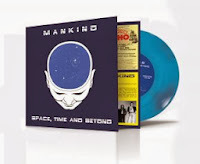 As part of their annual award issuing, Ripple Music was nominated along with 3 other excellent labels, for the "Best Independent Record Label." Ripple Music bands raked in the accolades also. Both Mothership and Trucker Diablo were nominated for Band of the Year (in UK and International divisions) and both of their latest Ripple releases, Mothership's self-titled debut and Trucker's Songs of Iron were nominated for "Best New Album of 2013." Trucker Diablo even got a nod for "Song of the Year" for their anthemic, hard rocking single, "Drive." You can vote for the final awards and see all the nominations at thebestformusic.com. Stay tuned to Ripple Music for more chain-rattling heavy rock, as they prepare to unleash a maelstrom of heaviness in early 2014, including Leaf Hound's hotly sought-after Live in Japan on vinyl/CD/DVD, Poobah's 1976 classic US Rock and long-anticipated new albums from Grifter and Volume IV. All Ripple Music releases are available at the Ripple Store (ripplemusic.bigcartel ) and Ripple Music Bandcamp (ripplemusic.bandcamp ) plus world-wide online and physical via Nail Distribution (North America), Code 7/Plastichead (U.K.) and Clearspot International (Europe).